Comic book movies aren't just about heroes in capes anymore. We've seen the genre expand into new territory with films like Deadpool and Logan, and it seems filmmakers aren't done testing the limits yet. 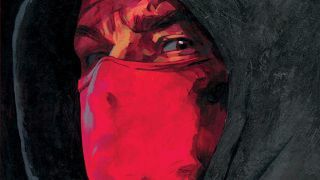 The Hollywood Reporter has revealed that John Wick and John Wick: Chapter 2 director Chad Stahelski will be in charge of a live-action adaptation of Image Comics' very dark and very unsettling series Kill or Be Killed. Never heard of it? On its surface, Kill or Be Killed seems like a semi-realistic tale of an anti-hero protagonist executing criminals without mercy. There are no superpowers, no assembled teams of justice and/or avenging. But not everything is mundane in this story. (Spoilers ahead) It turns out the main character attempted suicide, and was saved from death by a demon. Now, he gets to stay alive for one more month for each person he kills. It's a twisted concept that plays with audience expectations of morality, violence, and vigilante-ism. Is our main character still a "good guy" if he kills people in horribly gruesome ways? Is he a "good guy" if he's doing it not out of some higher calling or belief in justice, but because he needs to in order to stay alive? Personally, it reminds me a lot of DeathNote, at least in tone. Should be good material for Stahelski, who made us all root for an ex-assassin as he shot his way across the US and Europe to get revenge for his dog being killed. No release window or stars are attached, but Stahelski will be working with producer Basil Iwanyk, whom he previously collaborated with on John Wick.